The Journal of Social Media in Society (JSMS) is proud to announce that Dr. Amber L. Harris Bozer, assistant professor in the Department of Psychological Sciences, will become the journal’s first associate editor. A product of the Texas Social Media Research Institute (TSMRI), the peer-reviewed JSMS launched its first issue in 2012, and its success and growth has led to the need for an addition to the editorial team. The founding editors, Dr. Sarah Maben, Communication Studies, and Dr. Credence Baker, Associate Professor of Curriculum and Instruction and Assistant Graduate Dean of the College of Graduate Studies, started the journal to give authors a place to publish cutting edge research devoted to social media and mobile technology. Harris Bozer joined the Department of Psychological Sciences at Tarleton State University in January of 2014. She teaches a variety of undergraduate and graduate courses, primarily in the biological psychology areas. Her EEG lab investigates how chronic pain is processed in the brain. In addition to her neuroscience research, she has been involved in teaching-as-research projects. She is also the parliamentarian for the Faculty Senate, and previously served as a reviewer for The JSMS. 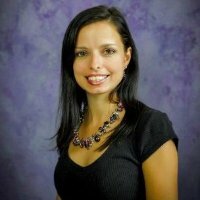 A Tarleton alumna, Harris Bozer received her Bachelor of Science in Psychology with a minor in Social Work in 2008. She obtained a Master of Science in Educational Psychology with an emphasis in Experimental Psychology from Tarleton in 2010, and her Master of Science in Health Psychology from the University of Texas at Arlington in 2013. She earned her doctorate from the University of Texas at Arlington in 2015 and specialized in Neuroscience. The Journal of Social Media in Society has been listed as a highly recommended title (K+) in the 2016 edition of Katz’s Magazines for Libraries. The journal boasts more than 60 reviewers from institutions across the globe and Tarleton State. Almost 300 manuscripts have been submitted in the journal’s history, with many from international authors. The latest issue published at the end of 2016, with articles about athletes using Twitter, the citizen framing of #Ferguson, self-monitoring on Facebook, social media usage during working hours, social media as a screening mechanism for job applicants, and obesity discourse on The Biggest Loser’s Facebook page. The journal is an open access publication, located at http://thejsms.org. The Journal of Social Media in Society is one of the handful of academic journals based at Tarleton State, and is supported financially by TSMRI, the College of Liberal and Fine Arts and the College of Education.